May marks the release of the Top Baby Names, according to the data collected by US Social Security Administration. There is not a Canadian equivalent available of this data, but given the close relation of our culture, I’m quite confident that the results would be similar. 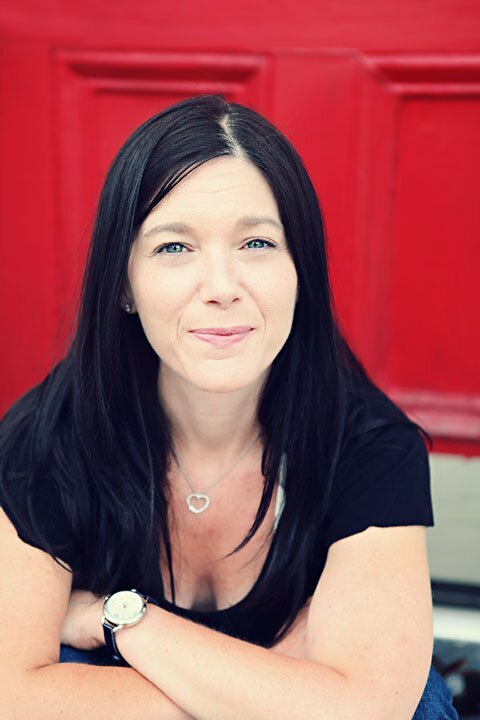 I see baby names every day and some days, weeks, and months, I note that some are more popular than others, and the popularity of some names grow while others fade. The Top 10 Baby Names, according to the US Social Security Administration, held few surprises for me. So, like I said, there were few surprises, but that’s not to say that there were none. Mason broke into the Top 10 this year (last year it was at #12). There might be some weight given to the popularity of the name owed to the Kardashians. Kourtney Kardashian named her son Mason at the end of 2009 and since we hear so much about the Kardashians, the name Mason might have just squeezed its way into the subconscious of new parents. Chloe has been in Top 10 since 2008 and it might interest you to note that Chloe with a K cracked the Top 50 in 2010. Keeping Up With The Kardashians premiered in 2007. Michael debuted on the Top 10 in 1943 and has not left the list since then. From 1954 through 2010, Michael has been in the Top 3. This year it fell to 6th place. Jacob first appeared in the Top 10 in 1993 and has been in the Top 3 since 1996. 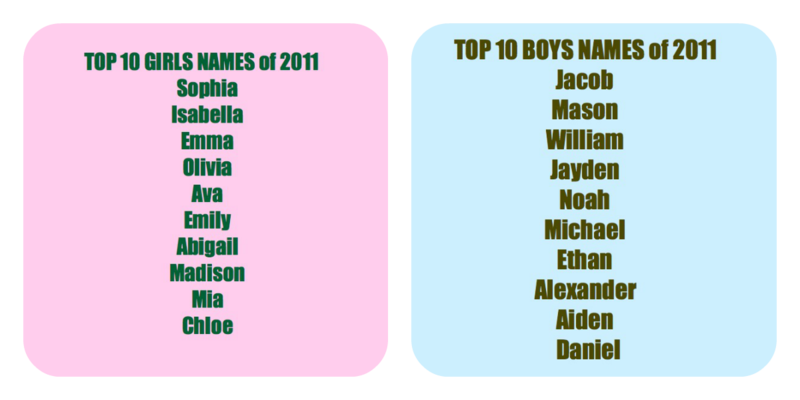 The boy names seem to have a longer staying power on these Top 10 lists than the girl names do. Sophia debuted in the Top 10 in 2006 and cracked the Top 3 in 2009. Isabella first appeared on the Top 10 in 2004 and has been in the Top 3 since 2007. Isaac, Kayden, Austin, Gabriel, Benjamin. Isla, Charlotte, Maya, Hannah, Evelyn, Addison. Did you consider these lists of popular names when you were choosing your baby’s name? Did you decide to keep or toss a name from your own list of names, because they are on these lists?